Join our team of rugby runners! Get Involved by running in support of rugby players nationwide. 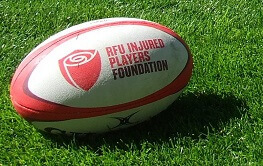 Discover more about the RFU Injured Players Foundation. Get Involved and support the rugby family! From running and cycling to organising a curry with your club, there's lots of ways you can support the Rugby Family. We support rugby players who sustain a catastrophic spinal cord or traumatic brain injury, and help prevent future injuries through research and education. 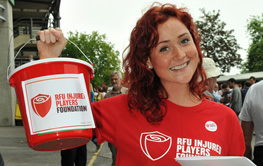 We are The Injured Players Foundation - England Rugby’s official charity. 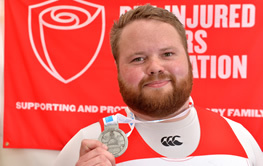 We are here to give support and information to rugby players who have suffered a catastrophic spinal cord or traumatic brain injury which has resulted in permanent disability whilst playing rugby in England at any level and at any age. 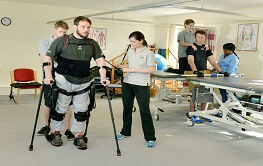 Our support is available to help players through recovery, rehabilitation, and for the rest of their life. We can also provide family members, clubs and team mates with the information and support following such incidents, particularly in relation to how they can help the player with their recovery or adjustment to a new life. 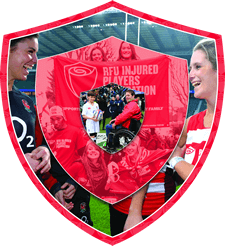 As part of our work we also fund research, training and education programmes to help prevent injuries and to raise awareness with coaches and referees to ensure as many people involved in rugby learn the correct techniques and practices to play, coach and officiate the game safely. We need everyone in the rugby family to get involved! We need YOU to help raise funds and raise awareness to support injured players and to fund vital research. Please help today.